An "old place" according to Ben. But what exactly is this thing? After doing a little more encyclopaedic research, it became clear that civilizations as far back as the Egyptians liked their column designs. There seems also quite a lot of connection to the Romans and Greeks, which reminded me of the Colossus of Rhodes, an ancient statue which a lot of people saw connections with to the four-toed statue Sayid and co saw. I don't think its too far of a stretch to see a connection to the foot, I mean both pieces of architecture cry out ancient civilization. But what does that mean for the Island? Some kind of Lemuria or Atlantis, which doesn't appear when investigated by Naomi, but then one day suddenly does for no explained reason. There's a lot of evidence about ancient groups in the Pacific - like Easter Island being the big example - seems like another clue to the fact a group possibly lived on the Island - a very advanced group by the sounds if they invented some sandals and made that big foot. But, if you were that advanced you'd surely have built a huge empire of an Island, not just a couple of random structures. 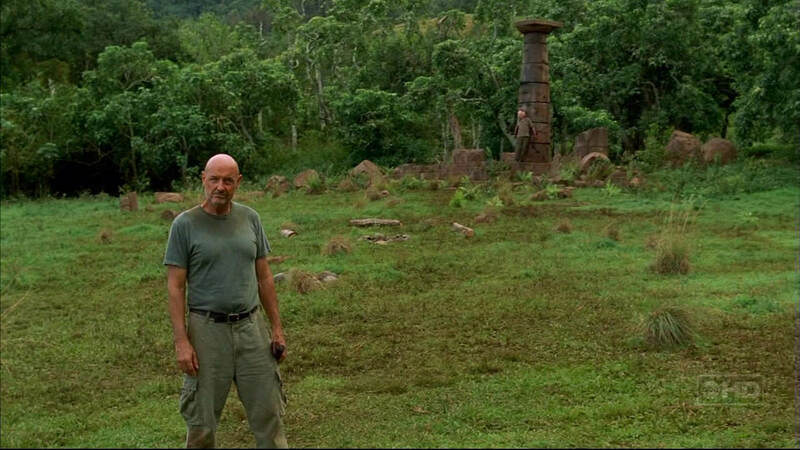 Maybe next week's flashback will shed a little more light on what came before the DHARMA, or maybe that's Season 4's focus (seeing as each season seems to take us further back in time into the Island's history).